He started out steadily enough, with six straight pars, before a dropped shot at the par 3 seventh, which was redeemed by a single front nine birdie on the par 4th ninth. Perhaps it doesn’t help if your playing partner, Scott Brown, has the temerity to hole out for an ace on the third. That could rub your nose in it a bit, but in all fairness Tiger took it really well and actually appeared to enjoy the moment. But it was on the eleventh that the wheels came off with a hideous triple bogey 7 on the par 4. And then it was all over. Even CBS stopped showing coverage of him, after following him slavishly until that moment. You wouldn’t have thought that some of the other contenders were actually out there competing until his triple, after which he disappeared from view. We hardly saw anything of Paul Casey, for example. Tiger did manage to haul himself back a bit, with four birdies and two pars from 13 through to 18. But the damage had been done on the eleventh, which was compounded by another dropped shot on the 12th. He finished tied 10th on -13, 4 shots behind the winner. 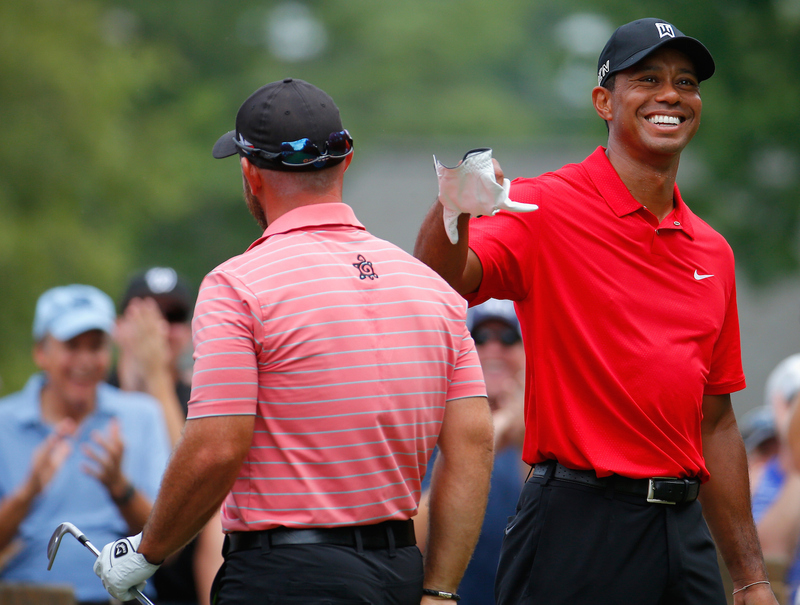 This was still Tiger’s first top ten on the PGA Tour since the 2013 Barclays – 729 days ago! So maybe we were all getting a bit too carried away with the possible story, and not the reality. It’s still made for a compelling tournament; even it did loose a lot of fizzle over the last few holes. The real story of the day has to be that Davis Love III bagged it, quite comfortably in the end, with a -6 round that gave him a one shot victory over Jason Gore. He did this at the tender age of 51, and without a win since 2008. And he’s the next Ryder Cup Captain. He might have to pick himself if he’s not careful! 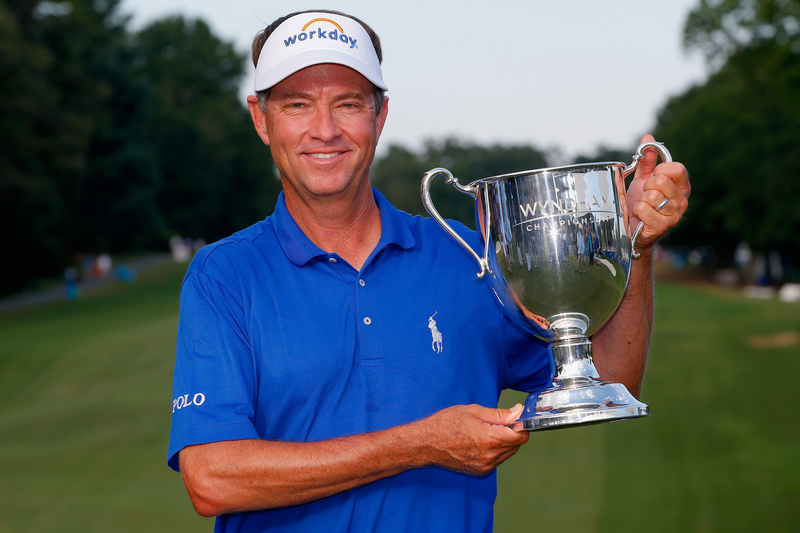 In all fairness to Davis Love III, this is the third time he has won here, and that over a thirty year span. When he won his first tournament in 1987, the entire purse was $650,000. Today he pocketed a cool $972,000. Not bad, even allowing for a bit of inflation! In the end the only real challenger was 41 year Jason Gore, who had thought about giving up the game and going into coaching. Needing a birdie to get into a play off, he boomed one up the 18th fairway, but he didn’t quite give his 7-iron in everything it needed, which left him with just too long a putt. Interestingly Gore had to two putt the 18th to retain his tour card. Did he know this, and did that contribute to how he played the 17th? We may never know. GolfPunk Jonas Blixt, the lightening Bolt, tied 10th with Tiger, as he could not build on his fantastic 62 in the third round, and could only card an even 72. 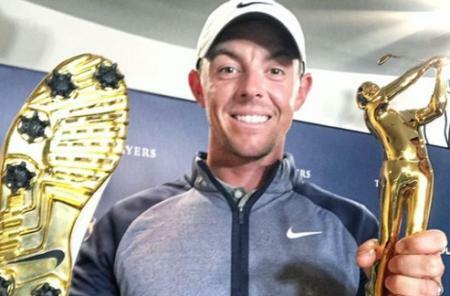 A disappointment, but at least he qualifies for the FedEx Cup, alongside of Koepka, Berger and McNeill. A mention in dispatches for Paul Casey, who finished tied third with Charl Schwartzel on -15, two shots off the lead. Paul’s time will surely come. He’s happy, he’s injury free, his game is strong, and he wants it. Our Golf Spiv also fancies Brooks Koepka, and on his recent performances he’s looking very right. These are two to keep a very close eye on for sure.